Mindblowing journey from ghetto electro over miami bass to oldskool hiphop glued together by Dave Clarke and showing killer mixing skills. Put on this mix for everybody asking the question "what was 'electro' all about?" It's quite possible that even if you spent months on your computer, trying to program a set like this, it wouldn't happen. Whether they're highly choreographed or thrown together, his mixes can be listened to hundreds of times, without getting bored. I'm one of those people that skips around mixes and has listener ADD. Electro Boogie 1 and 2, along with the Worldservice series do not disappoint. 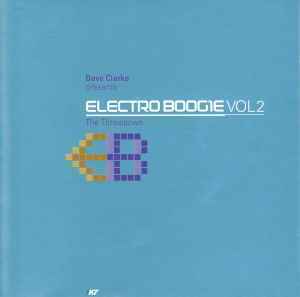 Even more stellar as a compilation of crucial electro both past and present, Electro Boogie, Vol. 2 swaps old-school renegades like Dr. Dre (with the World Class Wreckin' Cru) and Will Smith (DJ Jazzy Jeff & the Fresh Prince) with underground Detroit acts like Ectomorph, DJ Assault, Aux 88 and Dopplereffekt. The inclusion of 1997's electro anthem "Space Invaders Are Smoking Grass" by I-f only ensures the quality of this compilation, while Clarke's creative mixing and quick cutting from track to track spark the productions to new heights.